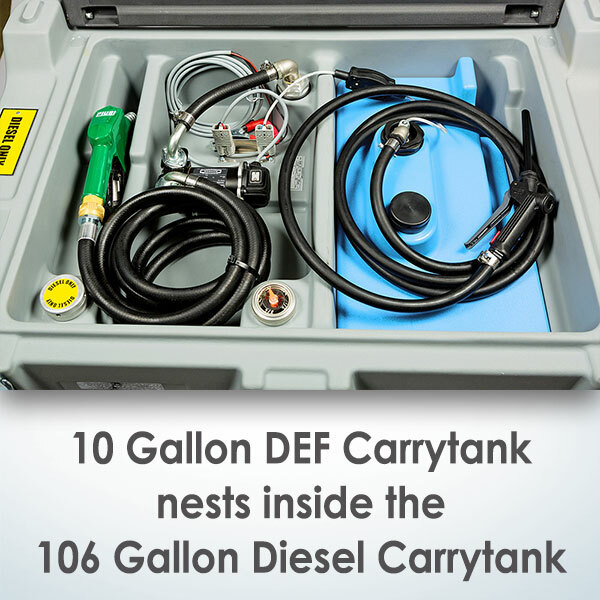 Our small capacity 10 gallon DEF Carrytank Nests Inside the Large Diesel Fuel Carrytank. 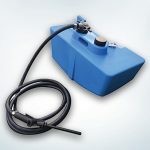 This portable 10 gallon capacity Carrytank makes it easy to carry and dispense DEF fluid along with diesel fuel. 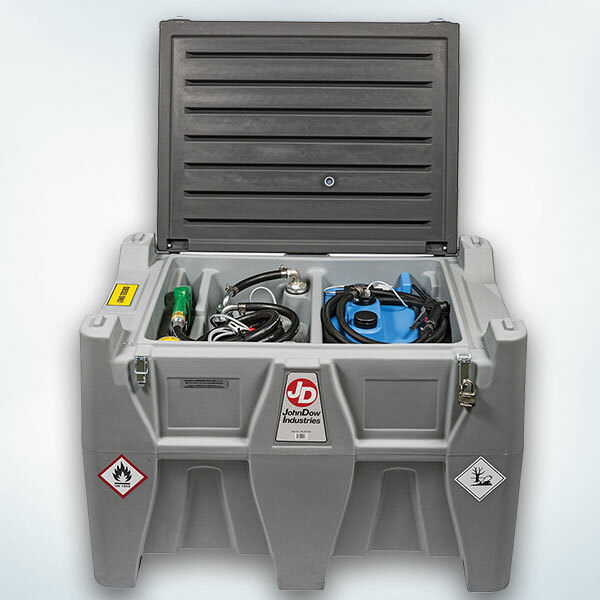 The small capacity DEF dispensing equipment tank is molded out of rugged polyethylene and is designed to fit in storage compartment of the 106 gallon Diesel Fuel Carrytank. This self-contained DEF tank is its own complete DEF dispensing equipment setup that includes a separate 12 volt DEF pump, dispense hose and nozzle. 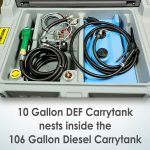 It is powered by the same 12 volt source as the Diesel Fuel Carrytank with a separate power plug. No additional power cables are required.